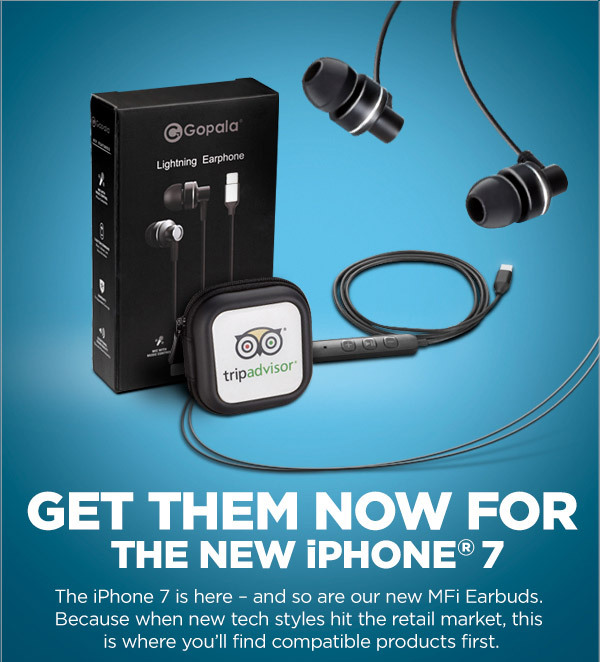 Get ready for A LOT of new iPhone 7 items entering the promotional products market in 2017. Here is a taste of what is it to come, MFi earbuds from Leeds. Easily imprinted with your brand or logo. The MFi earbuds are compatible with the new iPhone 7 or any Apple product that supports an MFI lighting input. The lighting port allows sound to be transferred digitally thus avoiding the typical analog signal interference you receive from regular earbuds. The earbuds include a built in mic and music controls. Included is a premium giftbox and a carrying case. Please contact us at info@proformagreen.com if you would like more information on – or samples of – these products.